We would like to introduce you to those who have already entered the world of Beyond Sports to enhance performance, gain tactical insights, and deliver a truly immersive and interactive viewing experience for their fans. The DFB is one of the most innovative federations in sport. It's their mission to keep performing on world level. The integration of our Beyond Sports solutions contributes to that goal. Achieving sustained success at the highest level through a well thought out academy set-up, a new training facility and Beyond Sports. Stoke City is ready for the longterm future! Together with FOX Sports, one of the biggest broadcasters in the world of sports, we make Virtual Reality Broadcasts a reality. Post-game, pre-game, in-game, our system bring the broadcast to a new level. Better together. Beyond Sports makes use of the Virtual Reality products that Oculus create. No obligations though. By using Virtual Reality Technology by Beyond Sports as a training tool, especially for young players, Arsenal helps them rehearse what the speed and intensity of Premier League football is like. Developing players from A to Z. The award-winning Youth Academy uses multiple Virtual Reality solutions to make sure they deliver top-notch players. Development is key. Our passion for sports is huge. It’s not just huge, it’s backed by science as well. Together with scientists the effects of Beyond Sports products have been scientifically validated. Lights out. The Eindhoven based club is by far the most successful club in the Netherlands in the last fifteen years. Teamed up with Beyond Sports to make sure it will stay that way. 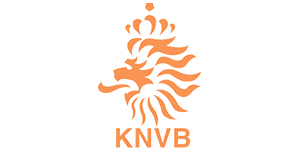 Dutch Pride. Continuously working on developing Dutch players, helping them achieve an incredibly high level. Both the first team and the youth work with our solutions. Technology in Football. Bolzfabrik is a German company that focuses on making up innovative ideas for football coaches. Working together with Klopp.